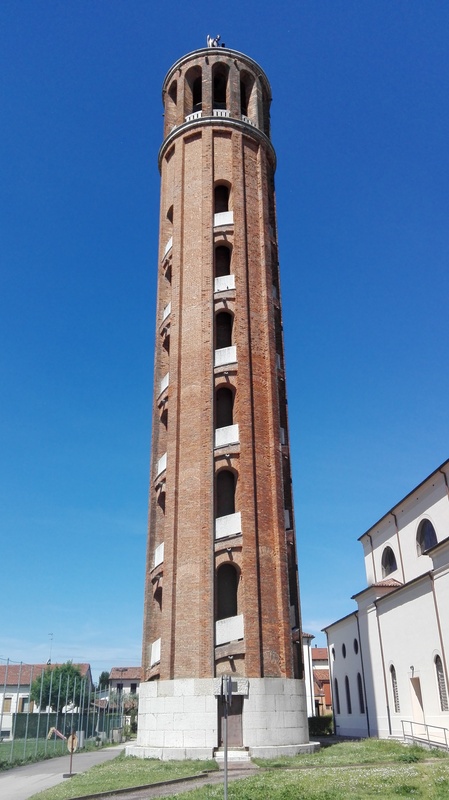 The cylindrical 56 meter high bell tower in Quarto d’Altino (only 2 meters less than the leaning tower of Pisa) was built and inspired by the very first bell towers of Europe, which were erected in Ravenna in the 9th century , an architectural style and model pretty rare for the Veneto region. Built between 1945 and 1956 under the supervision of Parson Carlo Scattolin, the bell tower’s white-marble base preserves the engraved names of the main benefactors, while right above the front door a nameplate commemorates the contribution and sacrifice of the community to accomplish it . It is possible to reach the summit by walking up a long and spiral ramp, in an irregular staircase with opened airy sides. In a few minutes you can reach the bell-chamber: from here, you can behold the irregular framework of the tower, the steel beams laied out to support the structure and appreciate the ability of the parishioners handwork to raise it. 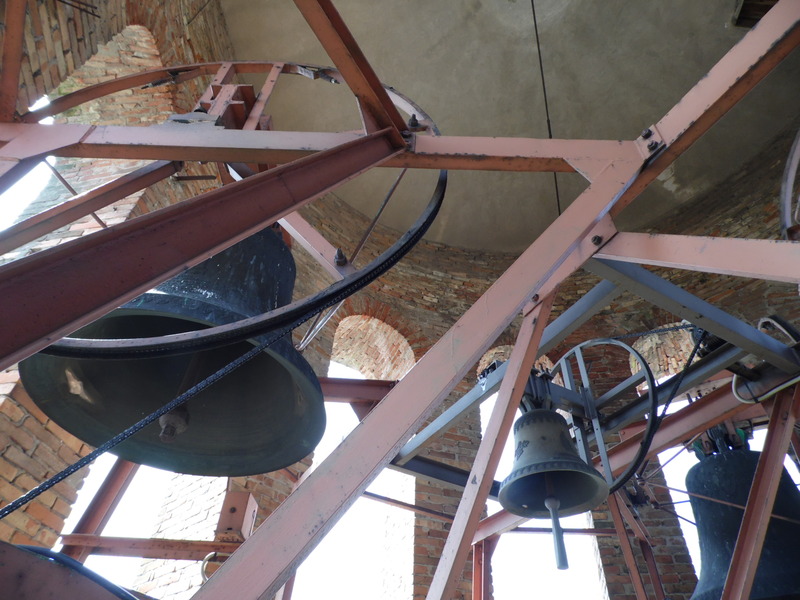 The bell tower withholds four bells, each one designed with a name: the biggest bell is dedicated to Mary Immaculate, the medium one to St. Teresa of Christ child and the smallest to St. Agnes Martyr. 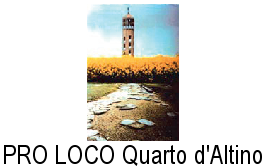 In 2010 a small bell was added and dedicated to St. Mark, used to annonce the beginning of the mass. From the bell-chamber, a 360° breath-taking view on the territories belonging to the ancient Serenissima Republic of Venice. You can clearly spot Venices’ beautiful bell towers and the one on Torcello island, the Prosecco hills, the Euganian hills and looking north, when the sky is particulary clear, you can see our Dolomites. 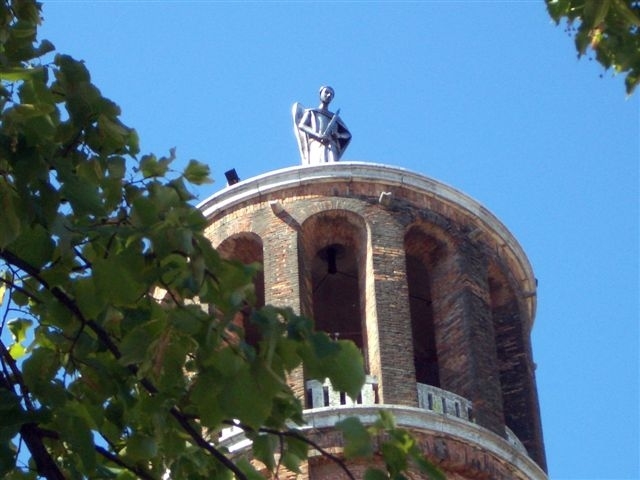 On the roof bell- top there is a rotating steel sculpture representing Saint Michele Arcangelo made by G.Romanelli, a venetian sculptor. The hollow sculpture rests on a sphere and can rotate on itself thanks to the air stream crossing its wings. 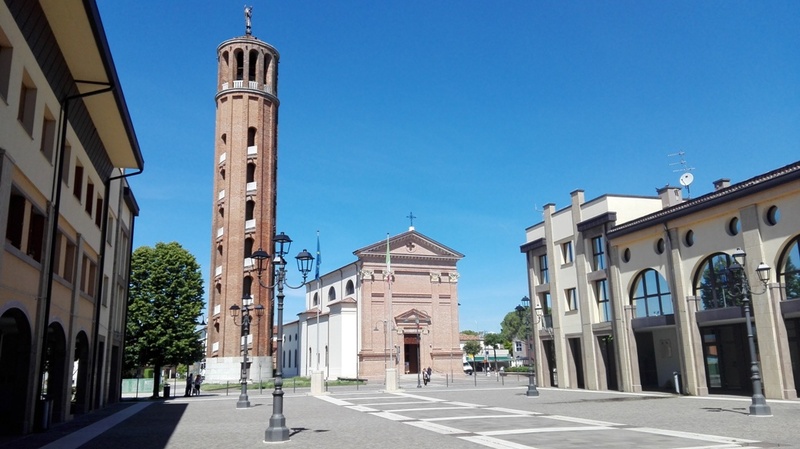 The near parish church dedicated to San Michele Arcangelo was built in 1905. Inside you can appreciate many frescos and an organ built in 1908 with more than 1180 pipes. 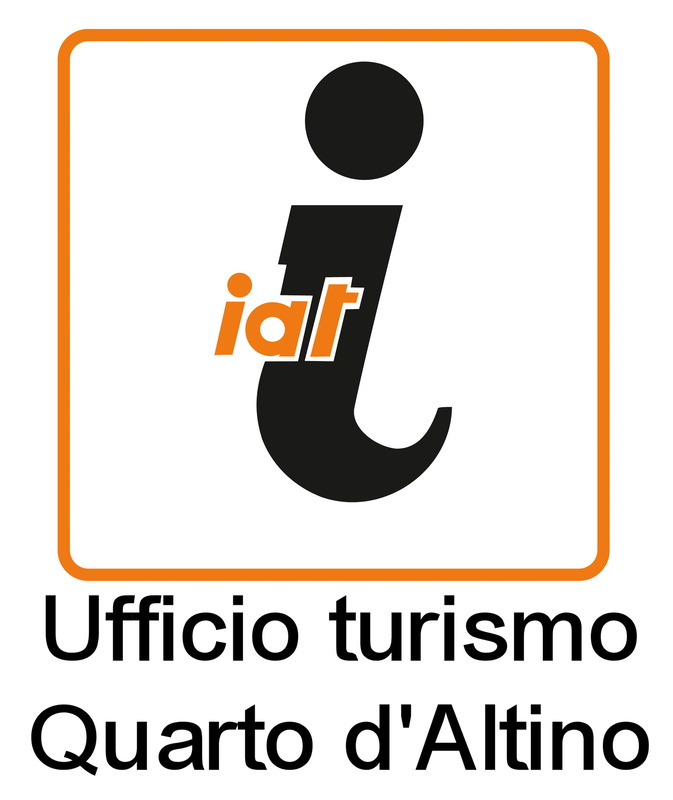 Opening time for tourist: from Thursday to Sunday 6.00 pm – 10.00 pm. Saturday and Sunday also 10.00-12.00 am.